This Venetian Jest mask is hand painted and glitterd. 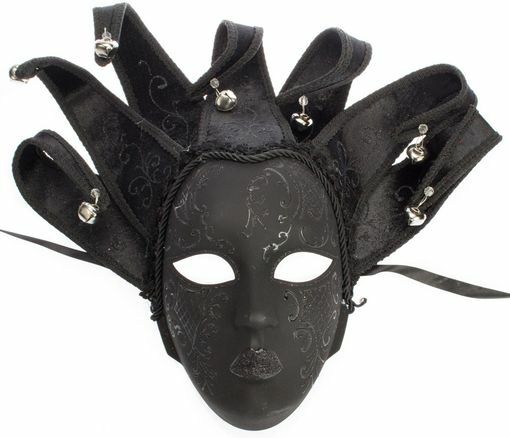 Great for any Masquerade event. Mask comes with black ribbon ties.